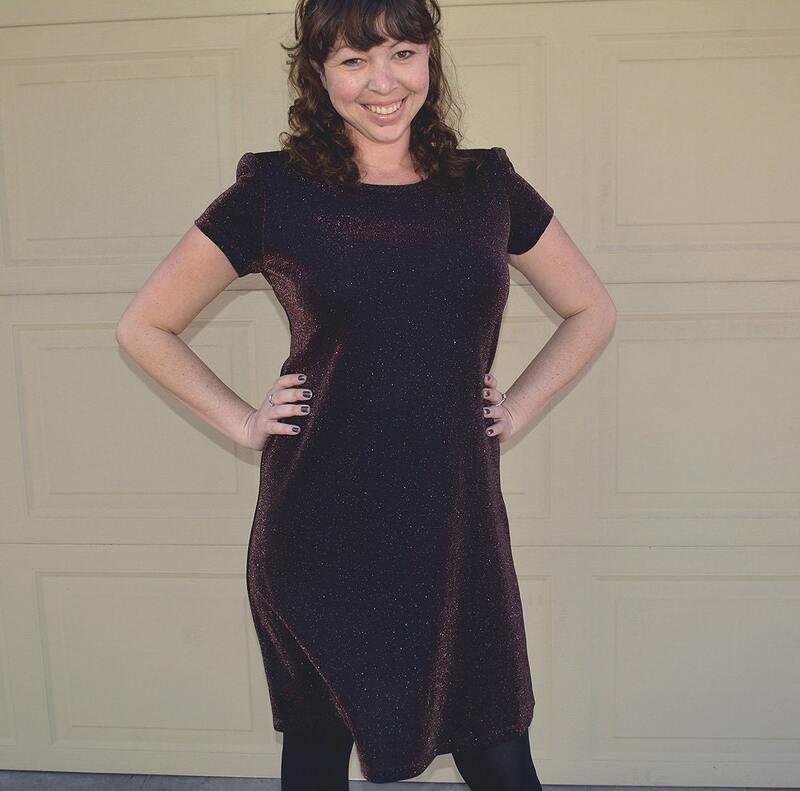 Totally awesome 90's holiday dress for sale. 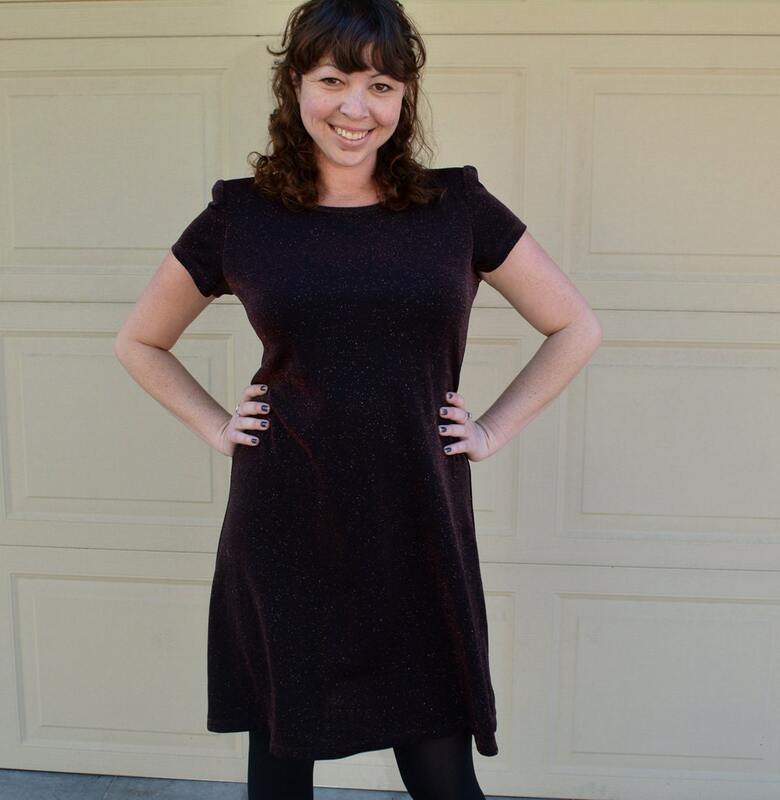 This cute dress is very sparkly with a rich deep purple color. This dress is made of a stretchy material and is cut in a figure flattering a-line style. 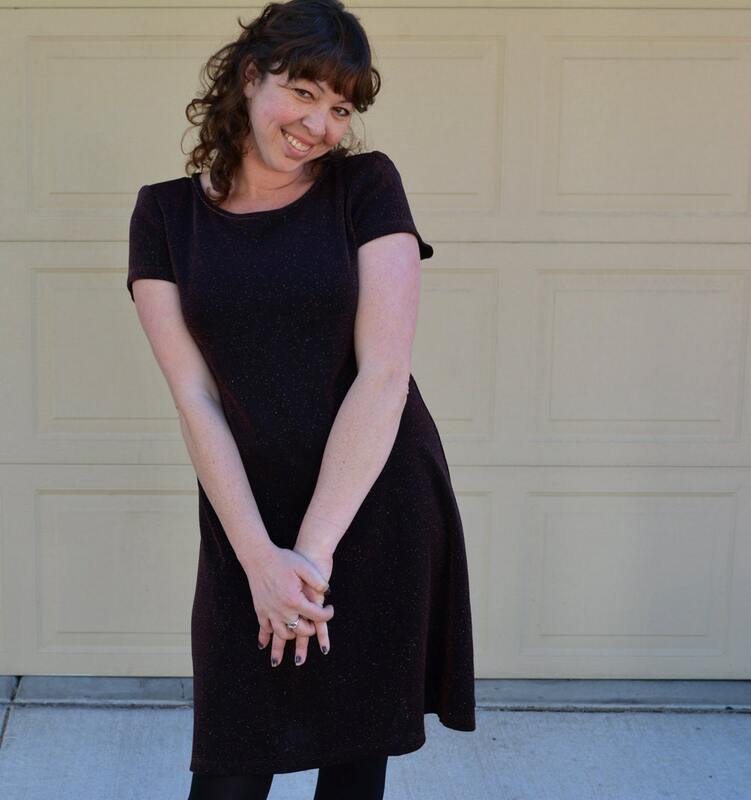 This dress is in very good vintage condition. It has small shoulder pads that can be removed. 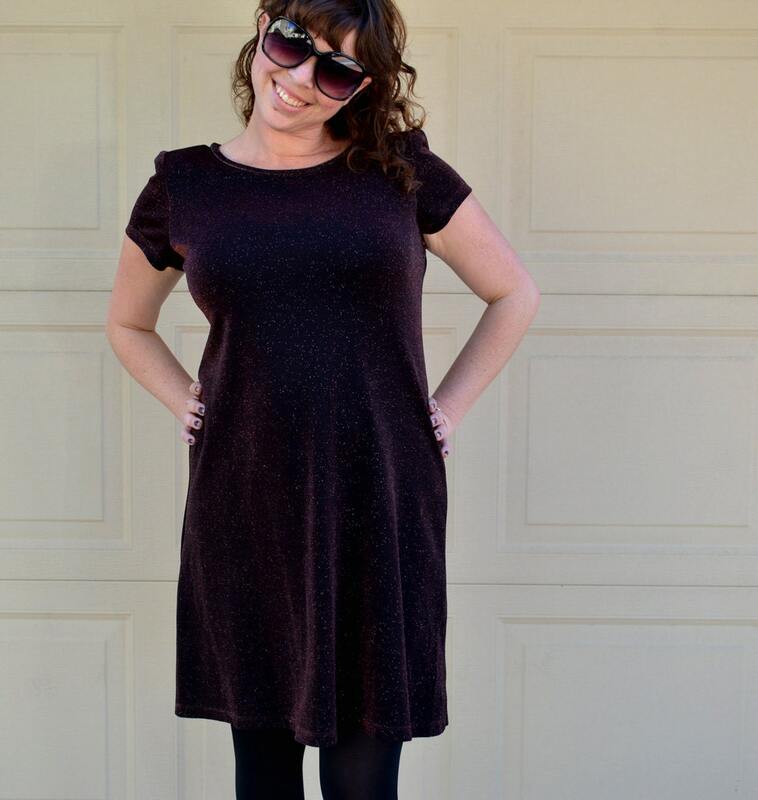 This dress looks adorable with black tights and boots.